New MbpStat.Net, Mbx.Net Gateway and Enron Modbus Protocol Support! Version 9 includes new product features and additional operating system support. New MbpStat.Net and Mbx.Net Gateway available in Mbx.Net Suite and Mbx.Net Premier Suite. The Mbx.Net Suite and Mbx.Net Premier Suite include the new MbpStat.Net Modbus Plus network diagnostic utility. The MbpStat.Net provides the same functionality as the original DOS based MBPSTAT application. It can monitor local or remote Modbus Plus by connecting to systems running the Mbx.Net Server. It can run on 32-bit and 64-bit Windows, and does not require the Virtual MBX driver. The Mbx.Net Suite and Mbx.Net Premier Suite include the new Mbx.Net Gateway Driver. The Mbx.Net Gateway Driver provides similar functionality to the MBX Gateway Driver. However, the Mbx.Net Gateway Driver uses newer and more secure infrastructure, and allows for more communication protocols. The driver connects existing applications that use the MBXAPI, MBXAPI.Net or NETLIB to the Mbx.Net Server. The server can be on the local network or anywhere on the Internet. The Mbx.Net Gateway node provides access to all MBX devices as though they were on the local system. The connection can be through Http, Net.Tcp or Net.Pipe protocols. A secure connection can be established and protected by a user name/password. 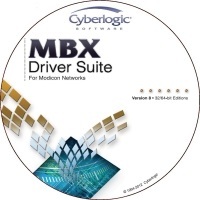 The Mbx.Net Gateway Driver is compatible with all other components of the MBX family. User defined address maps can describe the memory layout of custom Modbus devices. The MBX OPC Server Suite supports devices that use standard Modbus as well as the Modbus extensions. To accommodate the variety of existing devices, the server allows the user to describe the internal data memory layout by setting up an address map for each device type. 32-bit and 64-bit data registers are now supported. The Data Logger gives the Cyberlogic OPC Server the capability to log real-time data to a database for archiving, later analysis, and other purposes. Logging data at the server reduces complexity and cost compared to client-based logging options. In addition, the OPC server can expose the internal status and diagnostic information of the logging operations as OPC data items which OPC clients can use to monitor and control the logging process. Extensive set of standard trigger events that can be used to initiate logging. Triggers and Switches are pre-programmed Math & Logic applets that are used to detect and flag user-specified conditions. These applets require no programming knowledge. They are configured using dialogs. Triggers are counters that increment whenever a time-based event occurs, such as a specific time of day, a specific interval passes, etc. Four trigger types currently exist: Daily, Weekly, Monthly, and Interval. Switches test the state of items and signal true or false based on that state. Current switch types are Comparison, Duration, Quality, and Shift. Beginning with version 8.1, all Cyberlogic MBX Family products (MBX Driver Suite, MBX OPC Server Suite, MBX OPC Premier Suite, MBX OPC Enterprise Suite, and MBX Bridge Suite) include support for the PCIe-85 (416NHM30042A) Modbus Plus adapter. The PCIe-85 (416NHM30042A) adapter card, which was recently released by Schneider Electric, replaces the legacy PCI-85 single-channel (416NHM30030) and PCI-85 dual-channel (416NHM30032) adapters. The PCIe-85 can be configured to either single-channel or dual-channel operation. The adapter supports the PCI Express (PCIe) bus, which replaced the legacy PCI bus. The new adapter provides better performance, is fully compatible with the original PCI-85 adapter, and requires a single lane (x1) full height PCIe slot. Unsure of whether to use the USB TSXCUSBMBP or the PCIe-85 adapter for your application? Read this for help. Redundant OPC servers with an unlimited number of backup servers. OPC data bridges that pass data from one OPC server to another, from one PLC to another, or between OPC servers and PLCs. The source and target systems may be any combination of OPC DA servers and PLCs, even from different vendors. OPC data concentrators that obtain data from other OPC DA servers—regardless of brand or spec level—and present it to OPC clients. Because Cyberlogic’s OPC servers comply with OPC DA 3.0, 2.05a and 1.0a specifications, this concentrator configuration will solve spec level mismatches that may exist between some clients and servers. 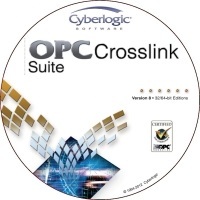 This powerful new product adds Math & Logic to the OPC Crosslink Suite. OPC data bridges that pass data from one OPC server to another, from one PLC to another, or between OPC servers and PLCs. The source and target systems may be any combination of OPC DA servers and PLCs, even if they are of different families or are from different vendors. 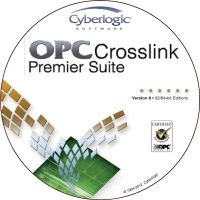 This powerful new product adds the OPC Data Logger to the OPC Crosslink Premier Suite. It retains all of the OPC Crosslink Premier Suite capabilities, such as allowing data to pass between any combination of OPC DA servers and PLCs and allowing data manipulation through custom programs. It adds the ability to log data to relational databases. The MBX Driver Suite is distributed by Schneider Electric, and it is the worldwide standard for communication drivers for Modbus, Modbus Plus and Modbus/TCP networks. MBX Driver for all Modicon Modbus Plus network adapters. MBX Gateway Driver for remote access to all Modicon networks. Ethernet MBX Driver for Modbus TCP/IP communications. Serial MBX Driver for Modbus communications. Virtual MBX Driver for enabling 16-bit legacy applications in 32-bit Windows. The all-in-one MBX OPC Server Suite includes Cyberlogic OPC server and all device drivers for all Modicon networks, PLCs and interface cards. MBX OPC Server Suite with OPC Math & Logic. The MBX Bridge Suite combines the functionality of all hardware-based bridging products currently offered by Schneider Electric for Modbus, Modbus Plus and Modbus/TCP networks. This is the same software that powers Schneider Electric’s 174CEV20040 Modbus Plus to Ethernet Bridge hardware. These new suites can work with any version of the MBX products, as long as they are installed on the supported Windows platforms. 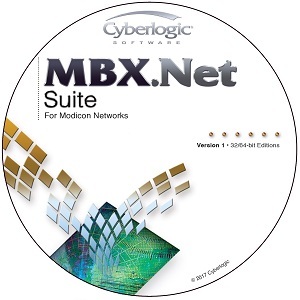 These products introduce the new Cyberlogic Mbx.Net architecture. 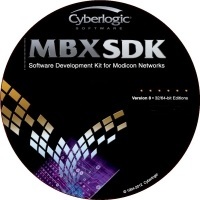 This architecture provides secure and reliable remote connectivity infrastructure for the Cyberlogic MBX family of products. It is also a platform for the Mbx.Net applications, such as the MbpStat.Net and the Mbx.Net Gateway Driver. API for connectivity to Modbus, Modbus Plus and Modbus/TCP networks and devices. Communication drivers for all popular Allen-Bradley and SST DH, DH+, DH-485 and ControlNet network adapters. DHX Driver for all popular Allen-Bradley and SST DH, DH+, DH-485 and ControlNet network adapters. 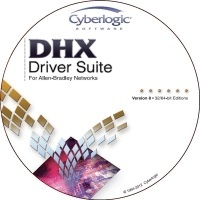 DHX Gateway Driver for remote access to all Allen-Bradley networks. 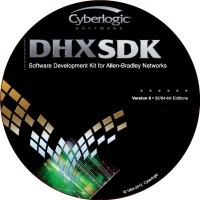 ControlLogix Gateway Driver for remote access to Allen-Bradley DH+ through DHRIO. Ethernet DHX Driver for Allen-Bradley Ethernet communications. Serial DHX Driver for DF-1 communications. Virtual DHX Driver for enabling 16-bit legacy applications in 32-bit Windows. The all-in-one DHX OPC Server Suite includes Cyberlogic OPC server and all device drivers for Allen-Bradley networks, PLCs and interface cards. 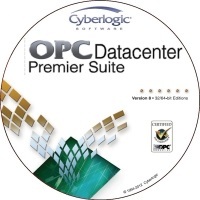 DHX OPC Server Suite with OPC Math & Logic. OPC Server for Allen-Bradley DH, DH+, DH-485, ControlNet, A-B Ethernet, ControlLogix, ControlLogix Gateway and DF1 networks and devices. API for connectivity to Allen-Bradley networks and devices. Join the Cyberlogic Developer Network! The Cyberlogic Developer Network is designed to allow Cyberlogic customers to use Cyberlogic’s OPC software products under free development licenses. Who is eligible to sign-up for this program? Professional systems integrators, in-house automation engineers and IT departments of the end-user companies are eligible to join the Cyberlogic Developer Network. Yes. The developers who sign up for the program will receive a media kit for the retail versions of the products. 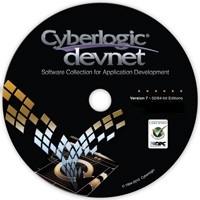 The software can also be downloaded from the Cyberlogic website and used with the Developer Network activation keys. Are there any restrictions to use the developer licenses? Yes. The development licenses are solely for use in systems development, integration and testing. The development licenses are not intended for production and they are not allowed to be used as "runtime" licenses. The OPC Foundation established an OPC Certification Program, where the “Certified” level of testing is provided by independent, OPC Foundation-sanctioned test labs. Cyberlogic was the first company to submit its OPC products to the independent certification test lab, Ascolab GmbH (Erlangen, Germany), for a range of tests that cover compliance and interoperability testing, load and performance testing, stress testing, white box testing, behavior testing, and environment and usability testing. Products are awarded the “Compliance Certified” status when all interfaces they support have passed all of the independent lab tests. The OPC Foundation website recommends that “OPC Users should look for OPC Client and OPC Server products that have passed ‘Compliance Certification’ Testing and display the ‘Certified’ logo”. Cyberlogic became the first company to receive the OPC Foundation’s valuable "Certified" status in 2008, and the company's OPC Suites are the first OPC products authorized to carry the OPC Foundation's valuable "Certified" logo.